Perfect for home remodeling projects! Can be easily placed in driveways. The 10-yard container is a multi-purpose dumpster. It may be on the smaller side, but it still gets the job done! It’s size makes it perfect for urban environments since it can be easily placed almost anywhere. It’s just small enough to fit inside a parking spot. 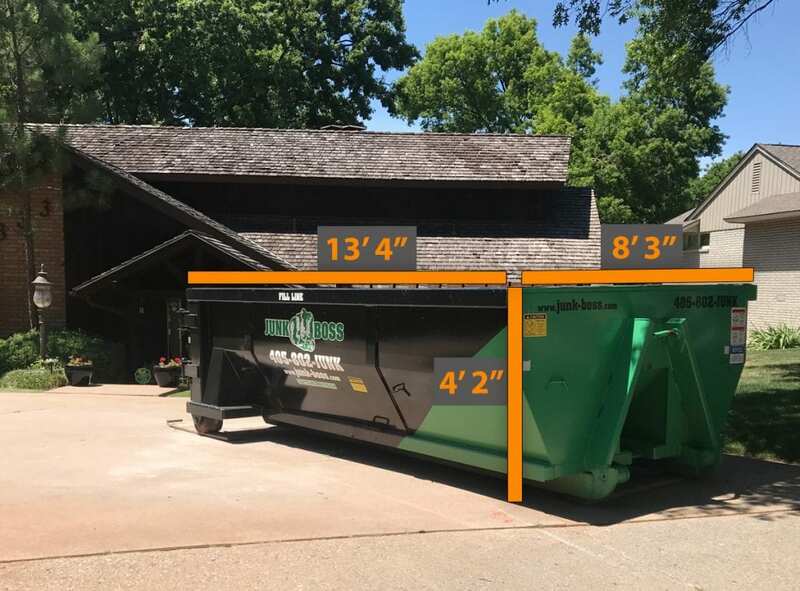 Whether you need it placed on the curb or on a driveway, the 10-yard dumpster is perfect for the job. This heavy-duty dumpster can handle a multitude of projects. It can contain the equivalent of 4-5 truck beds worth of junk. It’s great for small remodeling jobs like the renovation of a small bathroom or half-bath. It can also be used for people who want to clean out a small garage themselves and get rid of some old junk. This 10-yard container is also useful for yard projects where you need to dispose of rock or concrete. Our dumpsters are specially designed for ease of use. They feature a gate on one end that can be opened so that you’re able to walk junk straight into the container or use a wheelbarrow. This container is also short enough where junk and debris can be easily thrown over the top and into the bin. 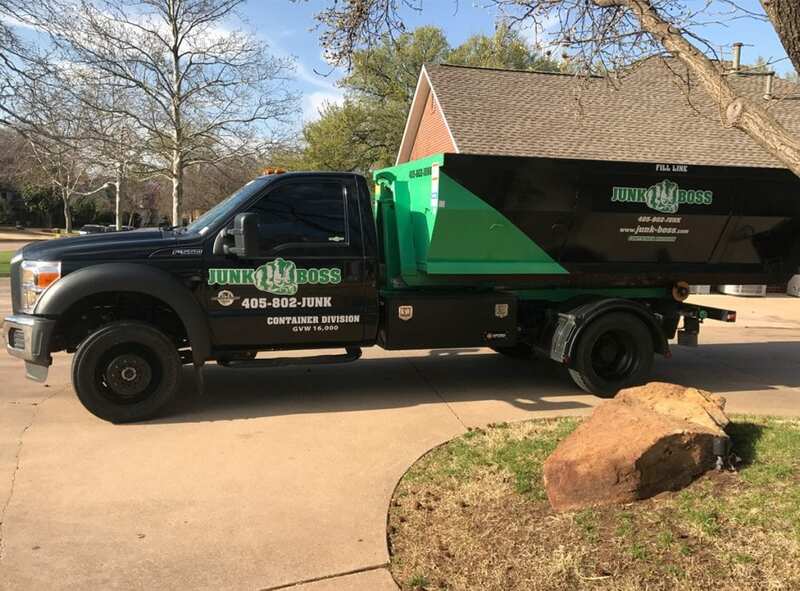 Junk Boss is locally owned and operated in Oklahoma. We go the extra mile to make sure you have everything you need for the job at hand. We place boards under the container to protect the property it sits on, keep the containers pristine between jobs and we will send you pictures to make sure we placed it in the right spot. Whenever you’re ready for us to come pick it up, just send us a text!